This colour was a special order. 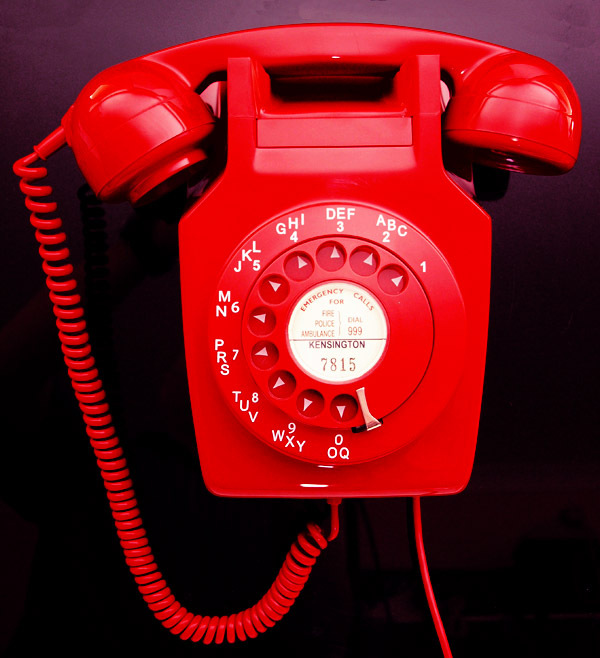 It was used in telephone exchanges and also seen in fire stations and even large department stores or as fire phones etc. I assume if you met the minimum requirement the GPO would supply them. not a common telephone to find. I have a small number available. This is fully working to both dial out and receive perfectly with an electronic microphone fitted. I have added an alpha numeric outside ring, a chevron dial face and a red finger wheel. 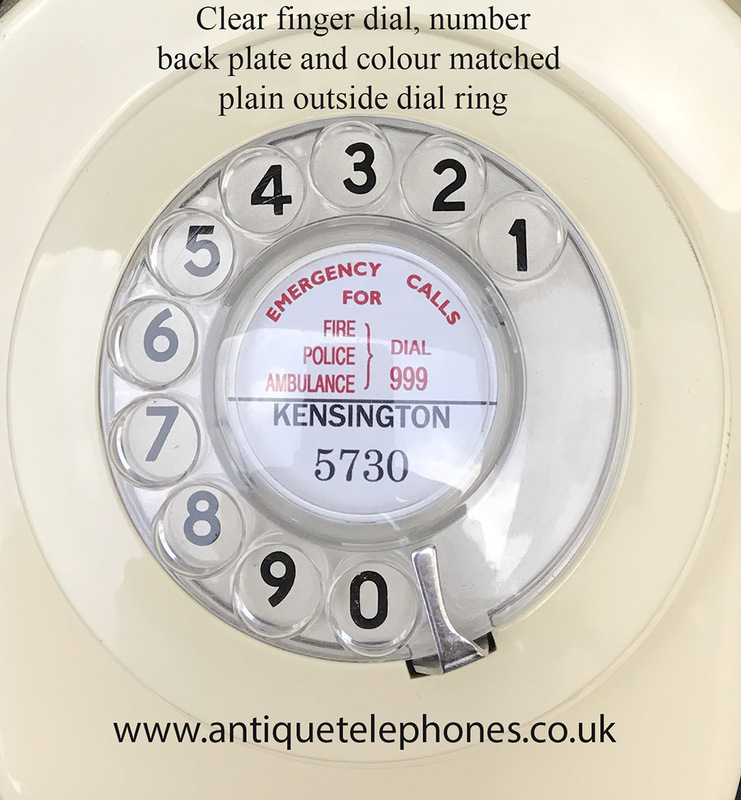 If you want it with a plain outside ring a number dial face and a clear finger dial please state this on check out in the "your notice to us" box. I cam make a dial label with your information at no extra charge. Ready to simply plug in and go.